In Afghanistan, the International Committee of the Red Cross (ICRC) provides the Taliban with medical training and supplies. When this became known in 2010, accusations arose that the Red Cross was supporting the enemy. The accusations only stopped when the US Army stood up for the ICRC, praising its neutral and impartial commitment. For a humanitarian organisation, neutrality means taking no sides in a conflict and avoiding controversy. Impartiality means helping all people in needs without any discrimination. The ICRC, owing to its dedication to both, was the only humanitarian organization tolerated in Afghanistan during all the Taliban era. However, the ICRC’s situation in Afghanistan has been changing since the 2001 international coalition invasion, which included humanitarian organizations that do not necessarily share the ICRC’s dedication to neutrality. Myriad humanitarian organizations followed the coalition into Afghanistan, even though in doing so they risked being linked to the invasion forces. Some faith-based humanitarian NGOs, for example, have pursued objectives that could be labelled as proselytizing. Others have been working in close collaboration with the US Army’s Provincial Reconstruction Teams and the “clear, hold and built” military doctrine. Others still are being instrumentalized by the coalition states. These elements together display that neutrality has, in many cases, been discarded, to the dismay of those few organizations like the ICRC that have maintained their neutrality. As a result, most humanitarian organizations lack any access to areas controlled by the Taliban. The result is a distrust or even hostility of the local population against non-governmental organizations (NGOs), even neutral and impartial ones like the ICRC. Humanitarian groups are instead often perceived to be serving the interests of certain Western powers. The situation in Afghanistan is in some ways the culmination of a process in which the ICRC has had to challenge other humanitarian actors that do not follow its fundamental principles. The ICRC’s legitimacy and effectiveness is based on its dedication to neutral, impartial, and independent humanitarian action (NIIHA). In this fragmented environment, with the increase of players with different goals, policies, and ethics, the institution must stress its neutrality and its impartiality by indiscriminately providing aid to all victims of war. It also has to explain to all parties of a conflict why they have a real interest to let such an organisation follow these principles – to avoid being equated with these other organizations and jeopardizing its own activities. Neutrality has long been a key-concept of humanitarian action. Present since the Geneva Convention of 1864, it was initially not planned to include it in the text of the Convention. Nevertheless, without referring to other members of the Committee, Henry Dunant himself instigated the idea of ​​neutralising medical personnel. Modern humanitarianism has therefore been built within the framework of neutrality. The notion of neutrality quickly came under challenge. At the end of the 19th century, national societies of the Red Cross passed through a process of militarisation and national submission. This phenomenon peaked during the Great War (1914–1918). National Red Cross societies from belligerent and neutral countries thus became closely linked to their respective governments and followed their political agendas. Some of them actively supported their state's war effort. All the while, in order to justify its action, the ICRC enunciated its commitment to the concepts of neutrality and impartiality without distinction. However, by the time of the First World War the ICRC acted neither neutral nor impartial, and instead showed preference to the Allies. It was not until 1921 that these principles of the Red Cross were incorporated in the statutes of the ICRC. Despite the recurring use of the terms neutrality and impartiality, this institution was not always consistent with those principles. The Spanish Civil War (1936–1939), where delegates acted impartially while supporting Franco ideologically, and the Second World War, where ICRC neutrality was based upon Swiss neutrality, illustrate this inconsistency. A major step was taken after the Second World War, partly under the ICRC leadership of the jurist Jean Pictet (1914–2002). His doctoral thesis formalized the fundamental principles of the Red Cross. The seven principles were formally adopted at the twentieth International Conference of the Red Cross in 1965. The ICRC’s concept of neutrality continued to face new challenges in the field. The Biafran War (1967-70) in Nigeria marked a turning point where a new humanitarian approach abandoned neutrality for public testimonies in favour of the victims. New actors like Médecins sans Frontières (MSF) considered that neutrality was not a core concept anymore and replaced it with a right of humanitarian intervention. They decided to help those in need without the authorization of national authorities and to bypass them. In other words, this sans-frontiérisme exceeded state sovereignty in favour of the right of the victims needing assistance. Despite its good intentions, this particular idea of humanitarian intervention generated many problems and, after the fall of the Berlin wall, almost disappeared. A more traditional view of humanitarianism and neutrality grow up again. The end of the Cold War also marked the rise of big operations of peacekeeping in Namibia, Somalia, Rwanda, or Bosnia where, under the banner of the United Nations, humanitarian operations have taken place in parallel with actions of the UN Department of Peacekeeping Operations (UNDPKO). The neutrality and impartiality of humanitarian organizations were threatened by this assimilation between humanitarian and military actors. Humanitarians and militaries have very different goals; the military is part of the conflict and follows their state’s interests, and thus they could manipulate humanitarian action for their own purposes. Yet it was also at this time, in 1991, that the Assembly of the United Nations adopted Resolution 46/172, setting neutrality and impartiality as two fundamental principles for the UN Office for the Coordination of Humanitarian Affairs (OCHA). After the attacks of 9/11, voices were raised against neutrality, a concept that were not seen to be as relevant within the framework of the global ‘war on terror’. Finally, in 2014, following the coalition forces, most of the NGOs withdrew from Afghanistan; the ICRC was one of the few humanitarian organizations to remain. Despite their long historical, formal, and institutional expansion, a debate on the relevance of the fundamental principles is important, especially when considering that radicalized groups attack humanitarians without distinction in Afghanistan, Libya, or Syria. But for the ICRC and other actors engaged in long term actions and in difficult contexts all over the world, there is no doubt that the NIIHA has been central to the ICRC’s many successes and highlights their uniqueness and their efficiency in ensuring the acceptation of local populations amid an ever more fragmented international environment. 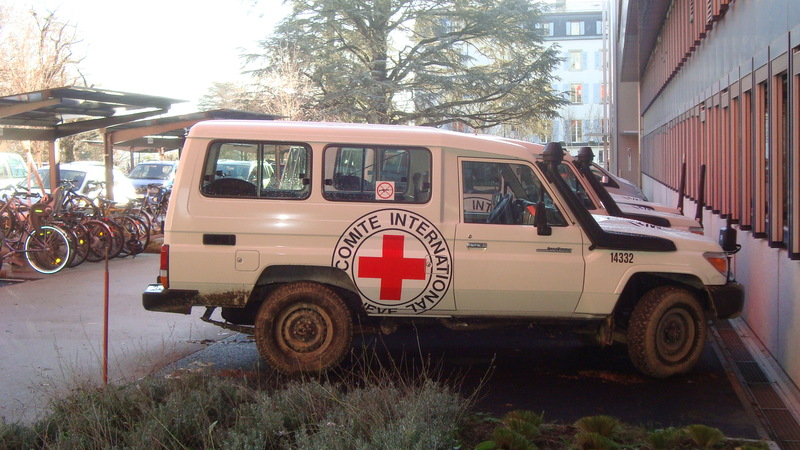 The issue of ICRC neutrality has not been widely addressed in recent years. After decades where the history of the Red Cross movement was mainly hagiography or official history, more and more historians now approach the subject more critically. Some studies exist on the Red Cross world and its neutrality. However, they narrowly focus upon particular periods or conflicts. There is no general history of neutrality in the Red Cross world to date, let alone histories that broaden this kind of research to include other humanitarian actors like UN agencies or private NGOs. Studying the neutrality and impartiality of humanitarian action leads to some challenges. First, it is necessary to look at the definitions that were given, or not, to these concepts at the time. It is likely that before the formalisations of Jean Pictet, these definitions were not clearly defined. Analysing the meaning of these words therefore is the first challenge. Even nowadays, the difference between neutrality and impartiality is not always well understood. Therefore, the use of these words must be carefully examined. We must also be careful to distinguish between the stated neutrality of an organisation and the neutrality of its delegates in practice in order to try to evaluate if the behaviour of staff has an influence on the organization’s perception. Lastly, research on the rhetorical use of the concepts and on the reality on the ground should be viewed alongside the reception of these concepts by states, armed groups, and local populations in order to evaluate their real impact on the field. Desgrandschamps, Marie-Luce. ‘Revenir sur le mythe fondateur de Médecins sans frontières: les relations entre les médecins français et le CICR pendant la guerre du Biafra (1967-1970)’. Relations internationales 146 (2011): pp. 95-108. Hutchinson, John F. Champions of Charity, War and the Rise of the Red Cross (Boulder: Westview Press, 1996). Jones, Heather. ‘International or transnational? Humanitarian action during the First World War’. European Review of History-Revue européenne d’histoire 16, no. 5 (2009): pp. 697-713. Labbé, Jérémie. Rethinking Humanitarianism: Adapting to 21st Century Challenges (New York: International Peace Institute, 2012). Palmieri, Daniel. ‘Une neutralité sous influence? Le CICR, Franco et les victimes’. Revue suisse d’histoire 59, no. 3 (2009): pp. 279-297. Palmieri, Daniel. ‘Les principes fondamentaux de la Croix-Rouge: une histoire politique’. Comité international de la Croix-Rouge, 6 July 2015, https://www.icrc.org/fr/document/les-principes-fondamentaux-de-la-croix-rouge-une-histoire-politique (5 January 2016). Pictet, Jean Simon. Les Principes de la Croix-Rouge (Geneva: Imprimerie du Journal de Genève, 1955). Segesser, Daniel Marc. ‘Le concept de neutralité et la Convention de Genève de 1864’. In Le Temps des hommes doubles, les arrangements face à l’occupation, de la Révolution française à la guerre de 1870, edited by Jean-François Chanet, Annie Crepin and Christian Windler (Rennes: Presses universitaires de Rennes, 2013): pp. 69-84. Voneche-Cardia, Isabelle. Neutralité et engagement, Les relations entre le Comité international de la Croix-Rouge (CICR) et le Gouvernement suisse 1938-1945 (Lausanne: Société d’histoire de la Suisse romande, 2012). Cédric Cotter studied history and philosophy at the University of Geneva. From 2009 to 2011, he worked for the ICRC as research assistant, consultant and archivist. Since 2012, he has been research associate and PhD student in a Sinergia project on Switzerland during the First World War involving the Universities of Zurich, Lucern, Bern and Geneva. His dissertation is dedicated to the links between neutrality and humanitarian action in Switzerland during the First World War. Cédric was a participant of the Global Humanitarianism Research Academy (GHRA) 2015. Citation: Cédric Cotter. ‘Afghanistan, 2010: Humanitarian Principles of Neutrality and Impartiality Contested’, in Online Atlas on the History of Humanitarianism and Human Rights, edited by Fabian Klose, Marc Palen, Johannes Paulmann, and Andrew Thompson, 2015-12, urn:nbn:de:0159-2016090513 [2019-04-26].